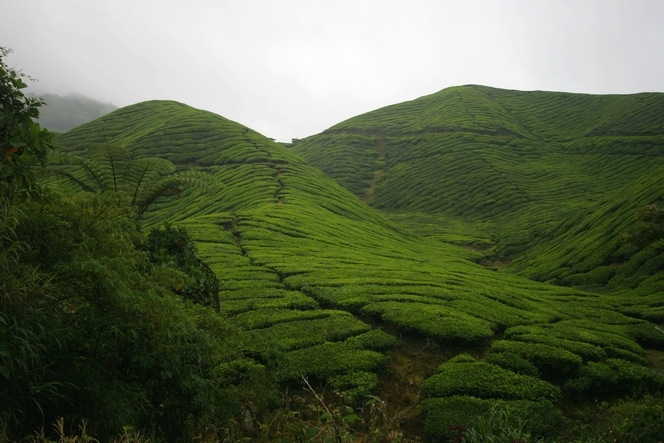 The biggest tea plantation in Malaysia is a two-hour drive north of Kuala Lumpur, in the Cameron Highlands. Caroline Russell, the current owner, is a direct descendant of Dutch colonists. The tea produced by the Sungai Palas Tea Garden may not be able to compete with the finest brews, but in the middle of this well laid-out plantation is the beautifully designed BOH Tea Centre. After a tour of the gardens, visitors can relax on the centre’s large terrace with a cup of tea, and admire the views.